There aren’t many artists around whose career has already lasted a quarter of a century. But then, there are even fewer who have experienced no setbacks whatsoever in 25 years. And there are only a few guitarists in the world of rock music who have created their own brand just with their name, causing over 1.5 million people to buy their music. As inspiration doesn’t comply with office hours, Pell praises the technological achievements of recent years. “My cell phone is almost like a mobile recording studio, it’s always busy. 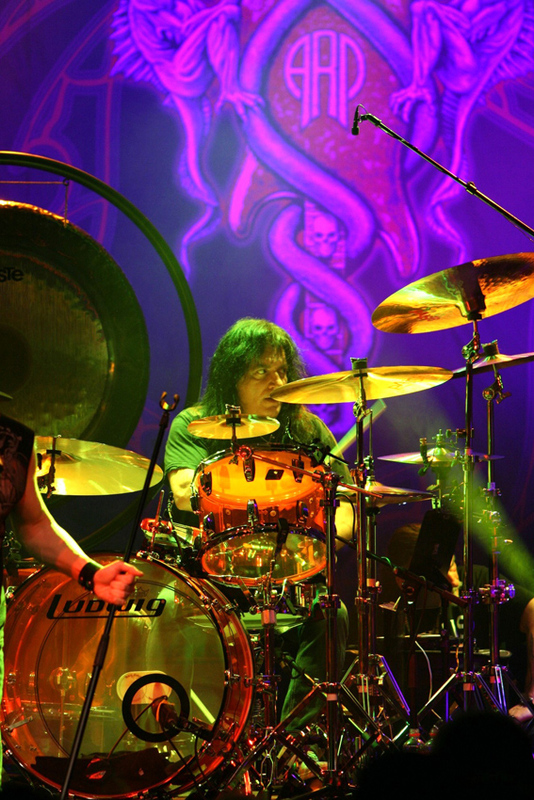 And this time things worked particularly well.” Despite the fact that the omens weren’t so good: in July of 2013 he unfortunately had to part ways with drummer Mike Terrana because their schedules didn’t match. After 15 years together, this wasn’t an easy step for either of them, but there was no slander or dirty linen washed in public – in contrast to most line-up changes, there wasn’t any of the usual background noise that seems to have become the rule in this industry. A fact Pell has every right to be proud of: “We’re all professionals and we behave like professionals.” So what to do? 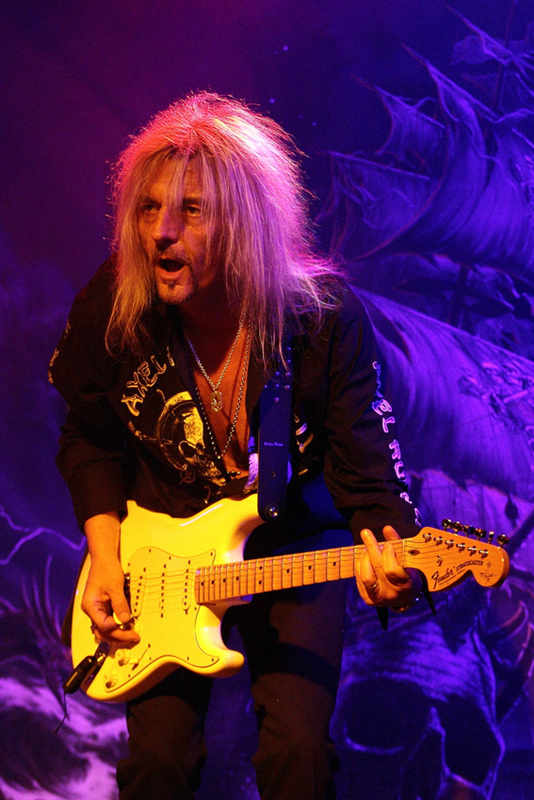 As Bobby Rondinelli (Rainbow, Black Sabbath, Blue Öyster Cult etc.) has always been one of his favorite drummers, he was on the top of Pell’s list. And now Rondinelli has joined the band, as simple as that. 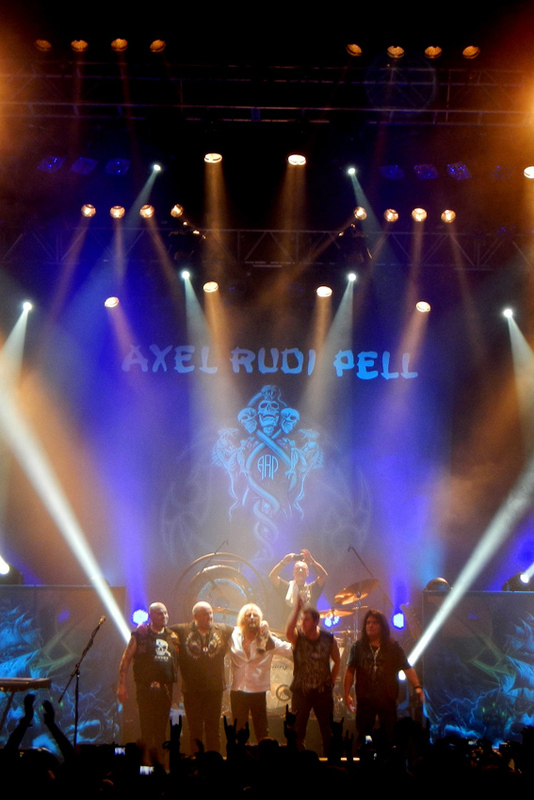 No miracle, but the result of Axel’s excellent reputation within the hard rock and metal community. “Bobby had heard a lot about me and immediately joined.” And this is the point where Pell has come full circle, because the Brooklyn-born drummer is not only the first of his musicians to have played in one of his favorite groups (guess who that might be? 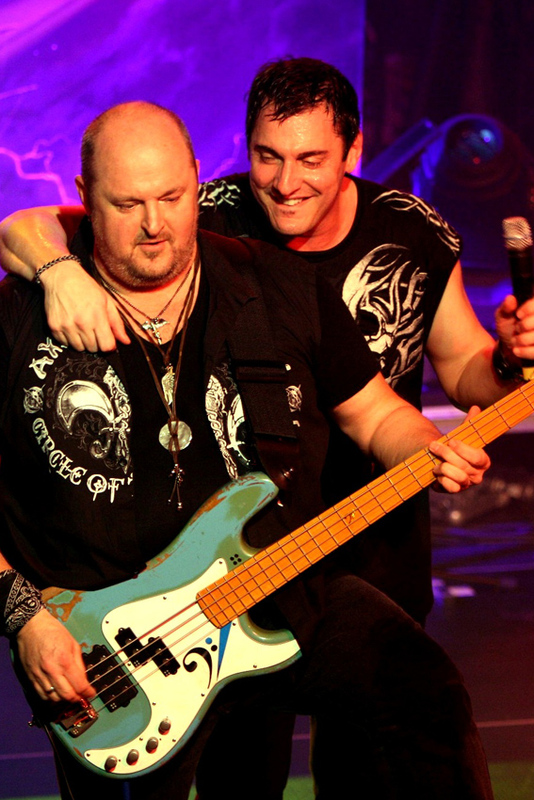 ), but Rondinelli has also brought fresh blood into the band: “Bobby fell in love with the new songs head over heels, I didn’t have to tell him what to do, he did everything right the first time.” The other American in the band, singer Johnny Gioeli, is also raving about the new material: “I think ‘Into The Storm’ is one the best ARP albums ever.” Why? Well, the compositions are catchier, more elaborate. 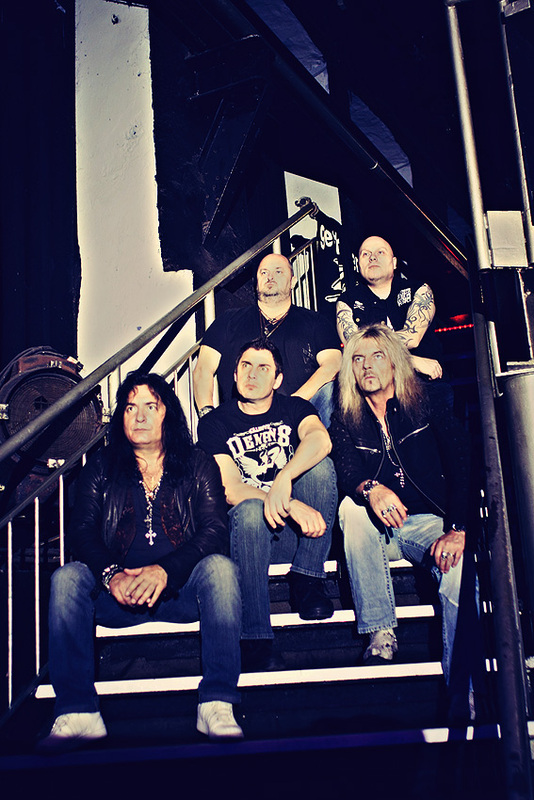 Melodic rockers like “Long Way To Go” and “High Above” alternate with up-tempo songs like “Tower Of Lies” and “Burning Chains”. Of one Axel’s most beautiful ballads to date, “When Truth Hurts”, is almost as heartrending as the touching Neil Young cover “Hey Hey My My”. Epic masterpieces such as “Touching Heaven” and the ten-minute-plus title track still have that 70s touch we all love. There are also two extra tracks for the Digipak: the glorious instrumental “White Cats (Opus #6 Scivolare)” is likely to see “guitar hero” fanatics go nuts and the Blackmore’s Night cover “Way To Mandalay” could easily have been borrowed from a Rainbow album now. ARP is on the next level now and it wouldn’t be a great surprise if he cracked the German Top 10 this time, seeing that his 2012 release “Circle Of The Oath” already went to no. 16! He’s certainly earned it. If someone has delivered the goods for 25 years, there’s got to be a reward. Note: anniversaries are always special. 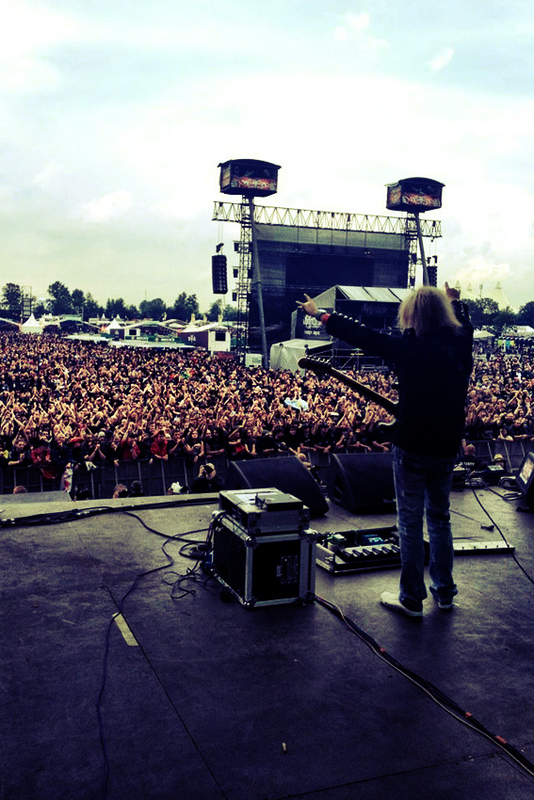 BTW: There will be a special 3-hours-plus show at Germany’s “Bang Your Head festival” in 2014, including a Steeler reunion and lots of surprise guests. The second leg of the „Into The Storm“ tour will take place from September 19th – October 6th, You’re more than welcome to join !! !